This was originally on sale for the May D&D sale but now I see that it isn't. Is this meant to be on sale or not? I am hoping to pick up some more OSR material during this sale and I was eyeing a couple of ACKS products but if they aren't on sale I'll wait for now and get the discounted items I was considering first. That was my mistake! I was trying to edit and update all the books and I accidentally deleted the discounts. I'll get this fixed ASAP. You should be able to buy the discounted book in about 10 minutes. Awesome! Though this certainly makes the decision making process on what to pick up more difficult. 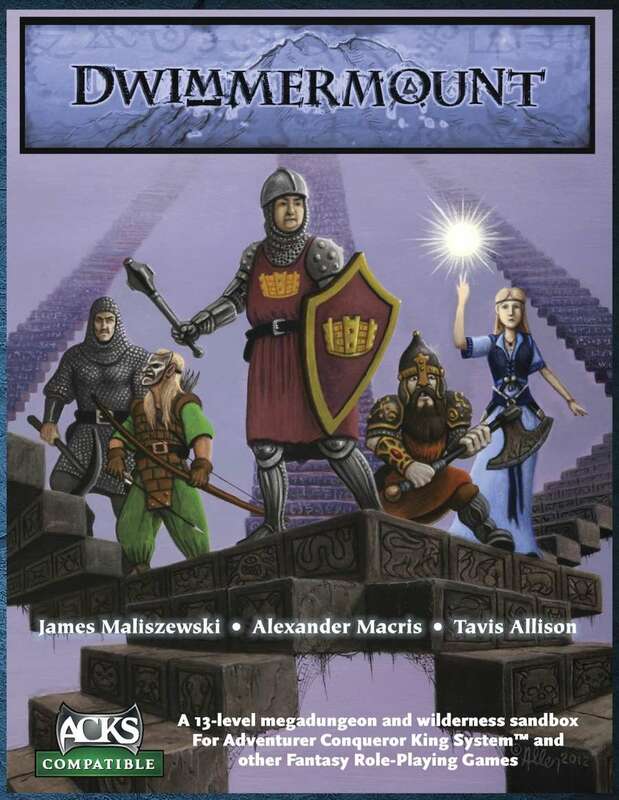 Would like a hardcopy + pdf of the ACKS version of Dwimmermount! There is one for the other version, why not for ACKS? It's on our to do list, but we're a small company so sometimes it takes a while to get to tasks! Since Feb, any word on a print of hardcovers? would love to buy a hardback of this. Any mailing list I can join to know when it's available? Should any more development / expansions be done for Dwimmermount i assume that these will be for ACKS first? We developed Dwimmermount in a partnership with the original author. It's not likely we will create new supplements for that setting, though he might! I noticed a map book and an illustration book are sold separately. Are those required, or are the maps and illustrations included in this product?